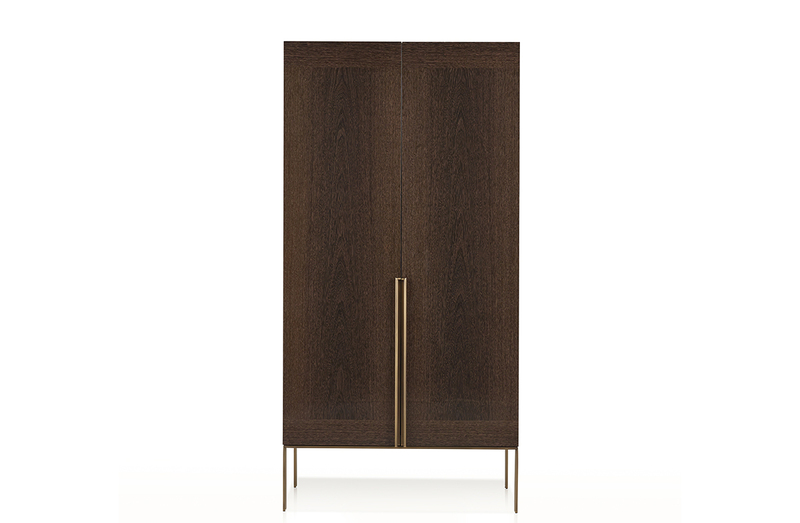 Two door bar cabinet with structure in a choice of wood species. Metal detailing in brass wth antique bronze finish. Optional internal LED lighting. Wood finish options: Sukupira in grey tint. Oak in natural, grey, smoke, or mocha tint. Walnut in natural, dark, or mocha tint. Rosewood. Ebony.